more than makes up for in stealth and killer instincts. One of Soundwave’s must trusted cassette soldiers, the robotic jaguar is among the most loyal Decepticons, believing fully in the cause he fights for. 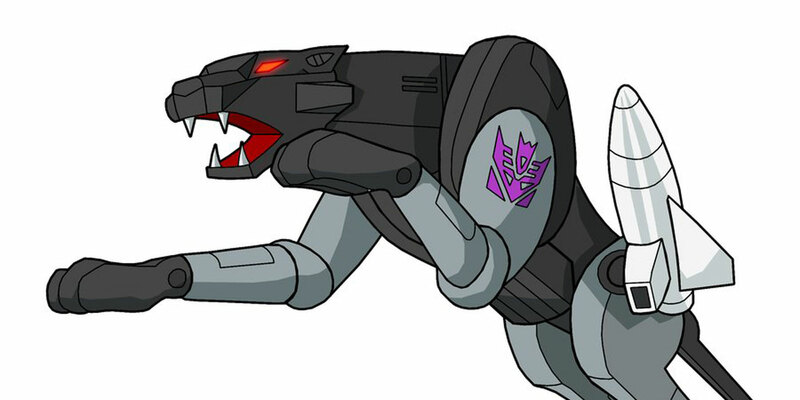 Often utilized for reconnaissance missions, Ravage is fearless. He's always more than willing to infiltrate a target infested with enemy Autobots who would like nothing more than to lock him up like the powerless kitty cat so many mistake him for. He’s also a savvy survivor: the G1 sequel series, Beast Wars, would reveal Ravage was one of the few Decepticons who survived the Great War, and more than 300 years later was still using his wits and cunning to keep Megatron’s tyrannical dream alive.